Creating a brand for the modern feminist. In 2016, the Presidential Election spurred a worldwide march for Women's Rights. In Philadelphia, this march spurred the development of a grassroots non-profit called the Philly Women Rally. This organization works to empower women of all backgrounds, and enable them to become active in finding their voices and fighting for their rights. The branding not only had to be powerful, but it had to be a very flexible brand that could be recognized across all kinds of platforms – from the biggest rally banner to the smallest social media post. 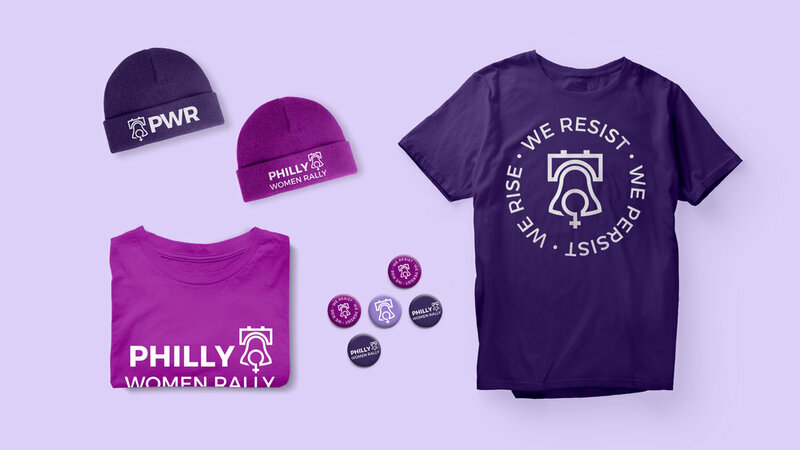 The leaders of the Philly Women Rally were looking for a logo and brand that stood out from the rest of the Women's Marches and symbolized the city of Philadelphia. 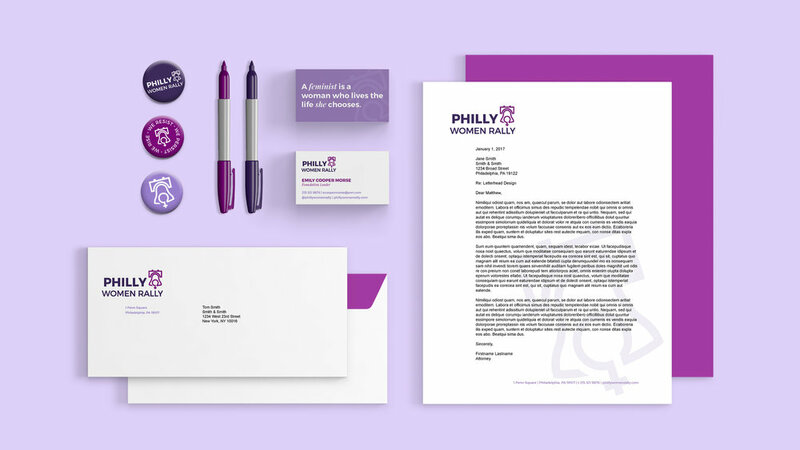 The logo we chose, a combination of the Venus Symbol and iconic Liberty Bell icon was such a hit with the team, that the founder of Philly Women Rally even got it tattooed on her wrist. Over 5,000 people attended the Women's March on Philadelphia, which gave Philly Women Rally a huge audience from the start. It was very important that their start-up had marketing materials to hand out, as well as having a strong Social Media presence. This ensured that they were reaching as many of their supporters as possible, and educating them on the capabilities that Philly Women Rally would provide.